Maxixe, (ma-shee-shee) a vegetable popular in Brazil. Photo courtesy of WorldCrops.Org. 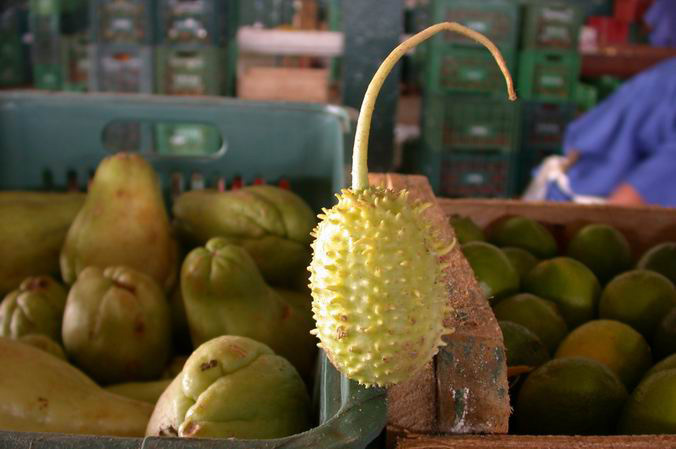 Maxixe, a vegetable popular in Brazil, is among those reintroduced in Massachusetts through UMass Extension’s efforts. Maxixe is similar to cucumber and was grown widely in New England in the 18th and 19th centuries. See WorldCrops.Org for more information on many crops of interest to immigrant communities in New England.